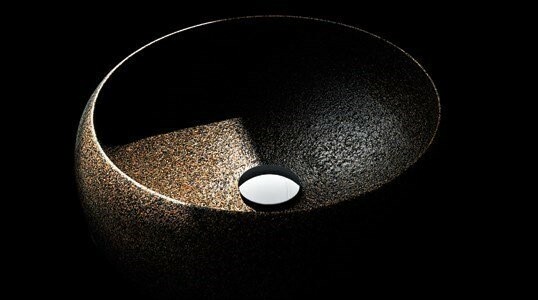 100% Portuguese: This is SimpleForms Design's philosophy: products with an innovating and bold design, made in portugal. 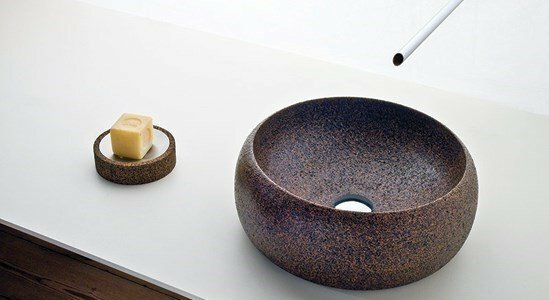 The designers innovated in a bold, audacious way, transforming cork into a must have, in a collection made up of cork objects for your bathroom: sinks, soap trays, and bowls. 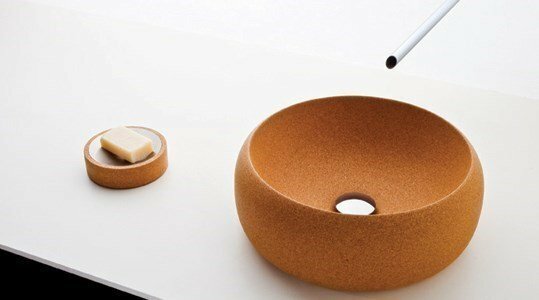 In spite of cork being a very traditional material in our country, its use in this collection is very innovating and avant-garde. In fact, the choice of this material is already, on its own, an innovating factor. Transform your bathroom, give it style and design! You? Well, you will be the queen or king in he cork kingdom!!! With two kinds of cork, an agglomerate of pure cork and a mixture of cork with rubber, we have different colours and styles. These products have a special finish that grants them protection and resistance needed for a normal use. It comes with the valve with a "Tic Tac" system.